SPRINGFIELD, Mo. — The St. Louis Cardinals have announced that RHP Michael Wacha is expected to make a rehab start for the Springfield Cardinals at Hammons Field on Tuesday, August 28. The Cardinals take on the Arkansas Travelers this Tuesday at 6:10pm (Gates Open 5:10pm) to begin the final homestand of the 2018 Regular Season. Tuesday is our final Great Southern Bank $1 Dog Day of the season, with hot dogs available all game for just a buck. The 2018 Cardinals Book Drive, brought to you by Anthem Blue Cross and Blue Shield and benefiting the Springfield-Greene County Library District is Tuesday. Fans who donate to the book drive (preferably new hardcover and paperback books for ages Birth-17) can purchase $1 tickets to Tuesday’s game for each book donated. A 2015 National League All-Star and 2013 NLCS MVP, Wacha has a 3.20 ERA in 15 starts this season for St. Louis to go with an 8-2 record and 71 strikeouts (84.1 IP). Wacha has been on the D.L. since June 21. Wacha last pitched for Springfield as a part of a 2014 rehab assignment, tossing 2.0 scoreless innings during an August 31 start in Tulsa. Coming into 2018 including the postseason, Wacha was a lifetime 26-12 with a 3.47 ERA in 59 starts at Busch Stadium, and his .600 overall winning percentage (45-30) over the past five seasons (2013-2017) ranked T12th among National League Pitchers. 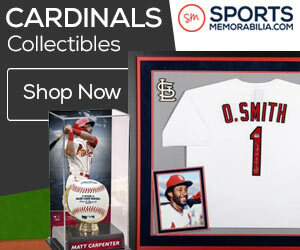 In 2015, he became the first Cardinals pitcher since Joe Magrane (18 in 1989) to win 17 or more games in a season under age 24. Wacha was named the 2013 National League Championship Series MVP after throwing 13.2 scoreless innings and striking out 13 for a 2-0 record, becoming only the third rookie in MLB history to win an LCS MVP award. Wacha reached double-digit wins (12) for the second time in his career in 2017, and established a career best 158 strikeouts. He pitched at least 6.0 frames in 18 outings with 15 quality starts last season: 11-3, 2.61 ERA (113.2 IP), 102 strikeouts. Wacha struck out eight or more batters in three consecutive starts (7/1-7/18) for the first time in his career in 2017…he and Carlos Martinez (5) were the only Cardinals with three straight games of eight or more strikeouts. He has twice carried no-hitters into the ninth inning of starts, with the most recent coming June 3, 2018 against the Pittsburgh Pirates. Wacha was a member of Springfield’s 2012 Texas League Championship team and hurled 2.0 scoreless innings in the 2012 Texas League Playoffs. A first-round selection (19th overall) in the 2012 First-Year Player Draft out of Texas A&M University, Wacha had a 1.13 ERA for Springfield in 2012 over four relief appearances, striking out 17 batters (8.0 IP) to only three hits, three walks and one run allowed. Wacha made his MLB debut under a year after being drafted on May 30, 2013 vs. Kansas City, allowing one run on two hits in 7.0 innings with six strikeouts. 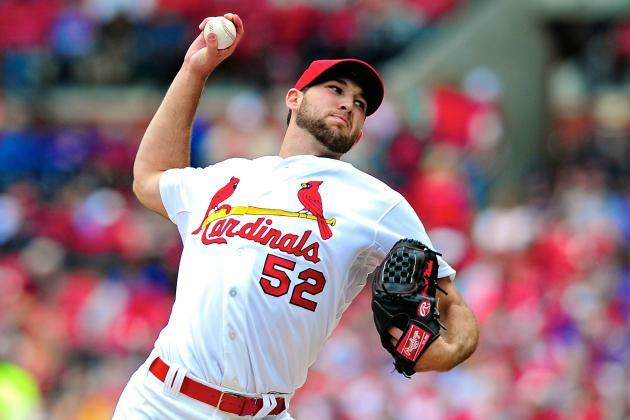 Click here to get your tickets to see Michael Wacha on his journey back to St. Louis!